Life is too short to spend looking for your wallet and keys. Save that precious time and get TrackR. Go to TheTrackR.com and enter promo code “TWIST” to get 20% off any order. 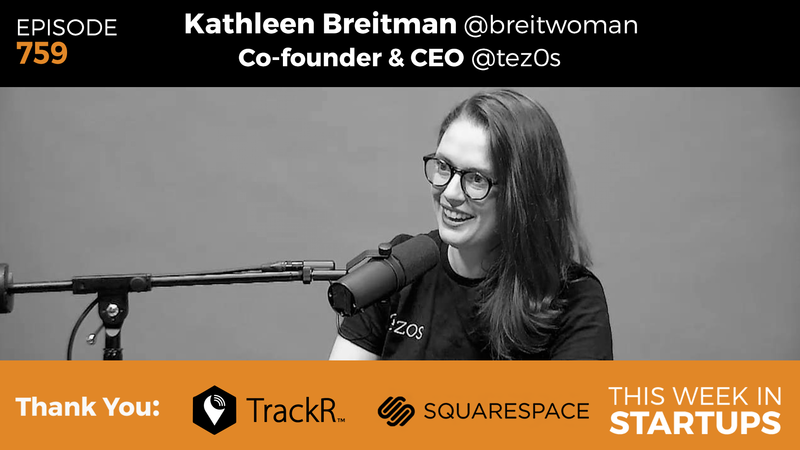 Today, we’re going to get a lot smarter about ICOs and cryptocurrencies with today’s guest, Kathleen Breitman, co-founder of Dynamic Ledger Solutions, which has developed Tezos, a new blockchain-based smart contract platform with an on-chain governance mechanism to coordinate and push upgrades to its network. Tezos is making major waves right now with its recent record-breaking $232m ICO and ongoing fundraising in the Crypto Valley that is Zug, Switzerland. Join us in this special episode as Jason and Kathleen do a deep dive into her new cryptocurrency project, how it’s different from Ethereum, running a fundraiser with a Swiss non-profit foundation, the cypherpunk movement, and the long-term impact of cryptocurrency. 29:25: How do you treat the coins that you get – is that income or long-term stock?